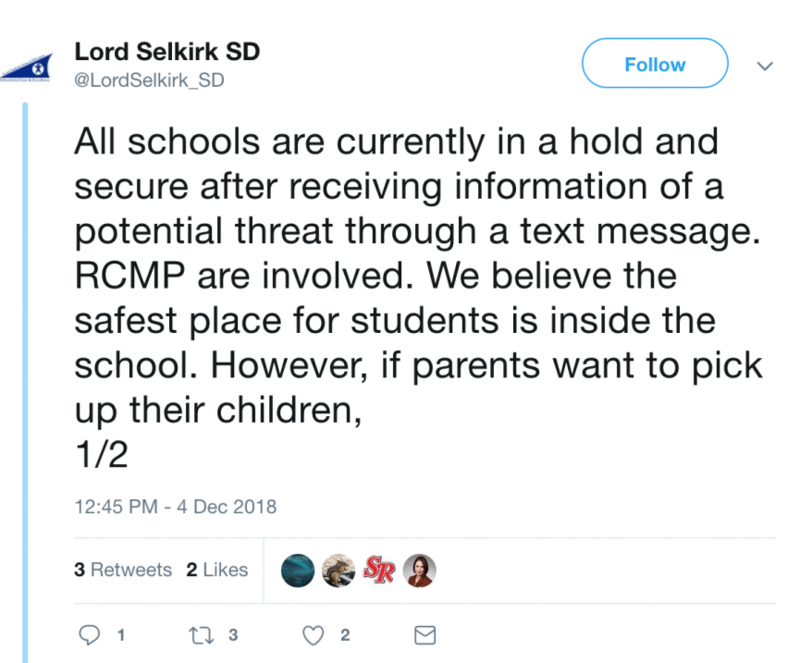 SELKIRK - All 15 Lord Selkirk School Division schools are in a "Hold and Secure" after more online threats were discovered this morning according to the school divisions's twitter account. Parents are being assured that the safest place for their children is inside the school and that there is a police presence. This comes after the schools were shut down yesterday and three arrests were made as a result of a number of violent threats through social media. It is still unclear if these are new threats or that they are related to Monday's shutdown.